Are you wondering what those streaks are on your roof? Have you noticed that your house looks a little dingy even though the roof is only 8 years old? Have you seen a consistent pattern in your neighborhood of the roofs all being streaked with a darker color? 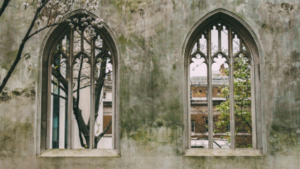 You may be familiar with the issue of algae on your home or maybe you think that here in the midwest we do not have the same issues as those who live in more tropical climates. Unfortunately, it can still spread and take root on your home before you even know it’s there. Algae forms in wet and humid climates and specific to your house, on the roof, where moisture tends to dwell after dew and rain. Algae spores are carried by the wind and animals and spreads quickly throughout neighborhoods from one roof to another. It has been common to see algae on rooftops throughout an entire neighborhood that is affected. 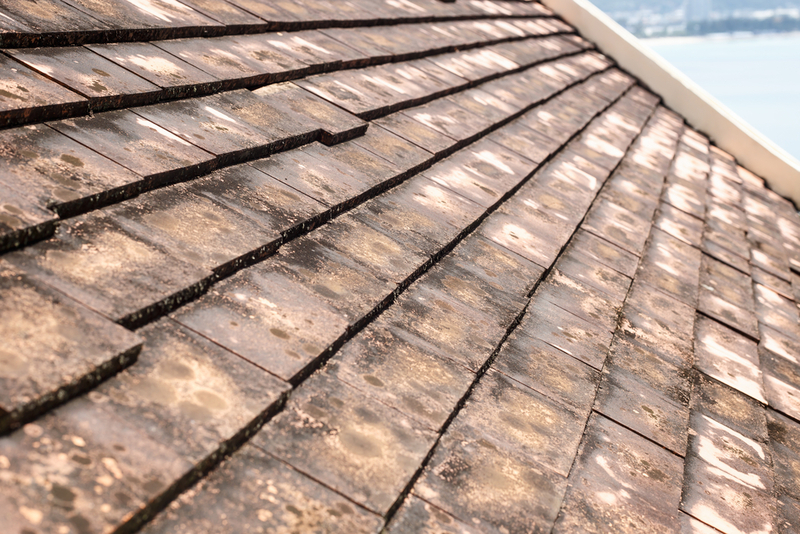 Algae discoloration usually begins with small spots but then quickly turns to streaks on the roof. By the time you are able to see the algae, it’s probably been there for several weeks to months or more. There are some steps you can take to stop algae from taking up residence on your home. Adding zinc or copper strips to your existing roof is not recommended as it can break the sealant bond over time, which may result in wind damage. 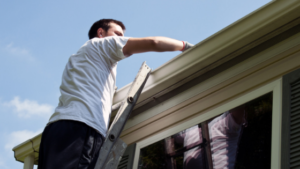 Cleaning your roof is much less expensive than replacing your roof before its time. IDW’s Soft Wash system typically costs less than $800 depending on the roof size as opposed to a full roof replacement costing thousands of dollars. A clean, healthy roof is an easy, environmentally safe and inexpensive way to get rid of algae, protect your home and restore your curb appeal. Contact us today with any questions about the condition of your roof, the Soft Wash process or to request an estimate.